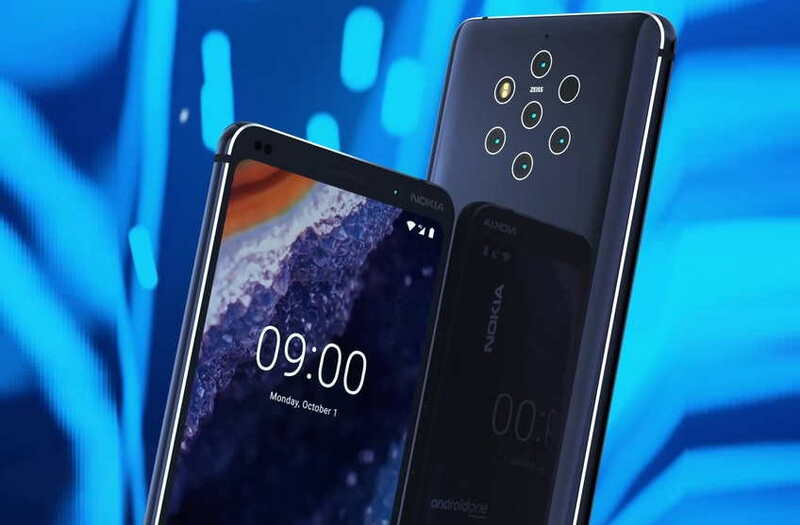 Nokia 9 PureView with its five rear camera setup has already appeared several times in various leaks and renders images. But this time the Nokia 9 PureView has appeared in its full glory. Serial tipster Evan Blass, today shared a new render image of the upcoming Nokia 9 PureView. The new Nokia 9 render appears to have Android One logo at the bottom of the device. At the top, we have a world’s first Penta-Camera (Five Camera) use on a smartphone, however, we can’t confirm this design as of now, because we haven’t yet seen an official image of the upcoming Nokia 9 device. However, the device in the new render looks gorgeous with its five-camera setup with Zeiss branding and the glass finish back panel. The device has no Notch on the display, that’s a good thing about it and we can see an in-display fingerprint sensor option on the screen as well. The device also appears to have green notification light at the top right corner. This is not the first time an manufacturer coming with this type of camera setup. Recently we saw smartphones launched with a triple and four camera setup, like on the Samsung Galaxy A9s, Galaxy A7, Huawei P20, and P20 Pro etc. As for the Nokia 9 PureView specifications, the device will feature a 5.9-inch QHD+ display with 18:9 aspect ratio. The phone is expected to be powered by Snapdragon 845 processor. The Nokia 9 is likely to arrive in 6GB RAM and 128GB storage option and 4150mAh battery. We expect HMD Global to announce the device at CES 2019 next month or maybe at MWC in February.